In a far-away forest, the Whoo family of musical owls are getting ready for the big concert. Your child is invited for a front row seat! 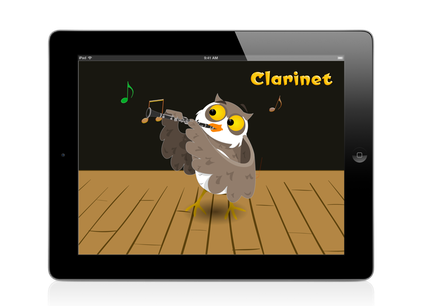 Enjoy this app with your child as you both become familiar with a variety of instruments. From behind the curtain, you hear a short little melody. Can you guess which instrument is playing? Tap the curtain to raise it and reveal who is making music now. Before long, children are able to tell which instrument is playing from the sound alone. 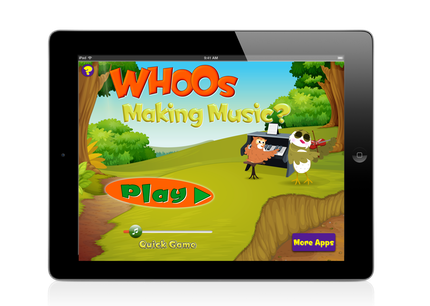 "Whoos Making Music" was created by a twenty-year veteran in the field of music education and faculty member of the Sherwood Community Music School in Chicago. It was inspired by his own three-year-old daughter's love for music and different sounds (as well as for owls!) 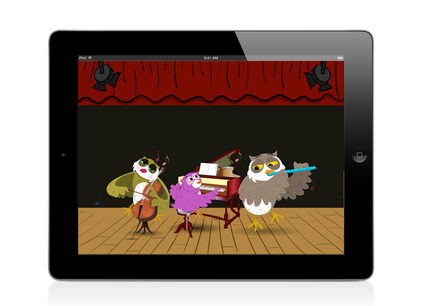 Children will love the high quality recordings of the instruments, as well as the funky, yet friendly, owl characters. Classical, jazz, blues, folk, and rock styles are all represented. 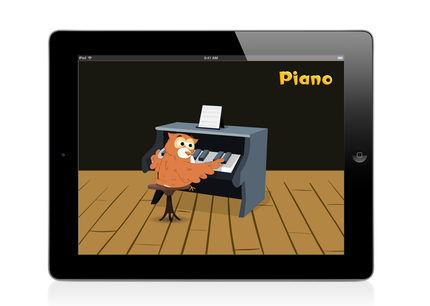 Get the free version of the app with five different instruments (piano, violin, guitar, clarinet, and tuba) and two mini-concerts to enjoy. Upgrade to the premium version for 13 additional instruments (cello, drums, electric guitar, flute, harp, harpsichord, french horn, oboe, pipe organ, saxophone, string bass, trombone, and trumpet), six new concert finales, and multiple audio examples of each instrument. 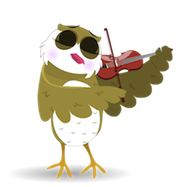 Help your young child discover what a 'hoot' learning about musical instruments can be! Recommended Ages: 1 - 5 years. Parents too!